Simone attended her undergrad at Wayne State University in Detroit, MI. While there, she received her Bachelor of Arts in English with a minor in Italian Studies. In the past, Simone has worked for firms specializing in personal injury, debt collection, and business law litigation throughout the Metro Detroit Area. She also clerked for a Chief Judge presiding over the Business Court of a Michigan State Circuit Court. Simone plans to practice in Michigan. 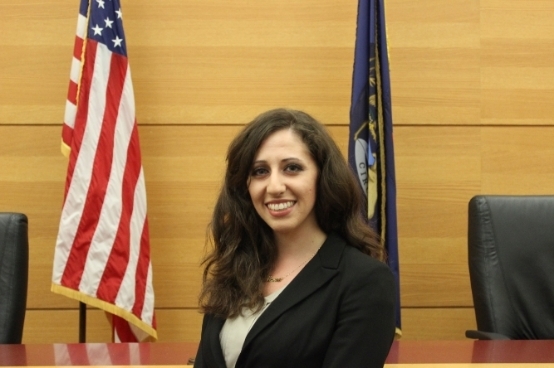 She is interested in: Business Law and Litigation, International Commercial Transactions, and Personal Injury Law. Member of 2015-2016 MSU COL Jessup International Moot Court Competition Team. An interesting fact about Simone is that she is fluent in Italian. If you are interested in contacting Simone, please email her at fabiill2@msu.edu.